DT Slovenia DMC (SI) is proud to announce that the SENINTER project, granted by the COSME Programme of the European Commission is officially started! Our members Diesis Coop (BE), EARTH (BE), KOAN Consultancy (ES), NEC Cerknica (SI) and AITR-Italian Association for responsible Tourism (IT) are part of the consortium and DT Slovenia is also directly involved! The Kick-off Meeting, in which the actors planned the very start of the project was held in Brussels on Friday 14th May, 2016. This project plans to create a slow and sustainable tourism product targeted and adapted to the seniors travelling with their grandchildren during the low and medium season in Europe. It plans to create a slow and sustainable tourism product targeted and adapted to the seniors travelling with their grandchildren during the low and medium season in Europe. The children are preferably less than 6 years old, the seniors are preferably retired in order to travel out of the high tourism season which means that they are 55 years old and more. In that sense, the tourism product will be based on the discovery of the local heritage (tangible and intangible), culture and on meetings with the local community, especially with other seniors and their grandchildren of the destination. The first step will be the pilot phase, where 15 grand-parents from Slovenia will spend 5 nights and 6 days in Rimini (IT) during the touristic low-seasons. To learn more please download the Seninter Project Brochure [EN], Seninter Project Brochure [SLO], Seninter Project Travel Notebook[SLO], Seninter Project Touristic Model[ENG]Seninter Project Program [SLO], Download Seninter General Dossier [ITA] or Download Seninter Final Conference. Article is copyright by European Alliance for Responsible Tourism and Hospitality (EARTH). EARTH is the first European Network created by experts of responsible tourism. The non-profit association (ASBL) is composed of private organisations based in 9 European countries (Belgium, England, France, Germany, Hungary, Ireland, Italy, Slovenia and Spain). 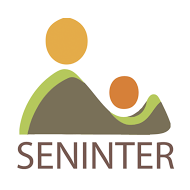 Read more about Seninter project.